Looking for ways to hone your English Communication skills? Planning to take that next big leap to a promising career? Searching for an authentic resource to help you attain those unbelievable heights you ever dreamt of? Why you should Enroll for Intermediate Advance English Communication Courses? Manage and establish a strong conversation with peers from abroad. You’re qualified. You’re eligible. You’re smart. Yet, your peers capture the whole presentation and meeting with their effortless and strong English Communication Skills. You’re held back by your own hesitation which makes you fumble with your presentation. Your confidence level and the command over the English language can match your status, it can turn you into a charming personality and a smooth talker. See this second scenario, just imagine yourself sitting in front of your prospective employer, the next big job, much needed with all those talents and unmatched skills up your sleeves. But just one thing, you don’t have the proper words to let the employer know about those qualities. You’ll go unnoticed and probably the job will be passed on to a person having better communications skills than you have! WizMantra can be your guide to alter your personality entirely with the Advanced Spoken English Course. WizMantra offers this custom-tailored course while keeping in mind the needs of communications skills required in a business setting. The entire training module features the workplace communication techniques in English, making the individual understand the nuances of making effective business presentations, participating in meetings and interviews while acquiring basic business writing skills.The training sessions help the users improve and enhance Business English vocabulary and learn how to use phrases for varied purposes like business letters, presentations, interviews, negotiations, telephone conversations, meetings, emails, group-discussions, and marketing. English for Business courses allow you to quickly improve your general English fluency, as well as focusing on effective communication in business contexts. Business English Courses help you deliver your thoughts lucidly in your workplace and communicate with on-site professionals in neutral English. These courses also make you capable of understanding the accent of UK/US based clientele and converse with them without any glitches. The ever-changing environment of business landscape together with blurring global boundaries, culture, and language, these days, plays a very dominant role in every corner of the world and at every level of business. India is no exception to this fast emerging trend. India is one of the fastest growing economies is attracting huge foreign direct investments (FDI). This brings in investments from companies all around the world. Thanks to the emergence of newer economies, the presence of newer opportunities, the corporate sector has been the most welcoming when it comes to employing people from different cultures and countries. Due to the changing economic circumstances, rapid growth led by better policy-making decisions, statistics show that India climbed one notch to attain the 9thposition on FDI inflows list in the year 2016, where the United States retains the top spot. These factors all the more give one a reason to master the global business language- English; which a much-needed aspect if one wants to survive in this competitive world. While the corporate world believes that by employing multi-lingual people, they can create a cosmopolitan culture within their organization; individuals must also understand that they must make themselves suitable for such a broader work culture. It has been found that language skills are useful in various business scenarios like customer service, sales, business development, etc. ; it has now become a mandatory component if a person wants to become a global corporate citizen. Thus, it can be said that one skill that can make or mar your chance of success in a corporate world is the level of Spoken English. While English continues to be a dominant language in the world of business, the language is yet to be spoken proficiently by most of the workforce. In a recent report, nearly 63 percent of the organizations claim a gap in critical English skills when it comes to hiring a suitable candidate for the job. As in many cases, it has been found that the employee may have some level of fluency when it comes to conversing in English, but there is always a scope for improvement. In this digital era where content is called the king, English is termed as the lingua franca. From corporate world to social media existence, English dominates the Internet. Therefore, not only speaking but writing and conversing well-enough for the other person to understand is as important. Check glimpse of Advance English syllabus & How Advance English Trainers can help? It is a known fact that organizations expect their employees to gain mastery by developing an industry-specific terminology; an employee can at least try to bridge the gap by gaining competency with workplace – specific words and phrases in the English language. Training the employees in the domains such as Communication, Email etiquette, Telephone etiquette and listening skills can help the organization to reach new milestones. This results in an attitude which can take the employees to a global level for representing their organization, thus benefitting the Indian Economy. Hi I am Mohit from Ghaziabad. I would like to suggest WizMantra online course to all students who want to improve their spoken English. I have joined WizMantra Academy for my intermediate level, Learning English online on the phone was a new experience. I must admit that my trainer Shipla mam was very good and cooperative, She always gave me time to understand the concepts of grammar and pointed out my mistakes, Which helped me building my confidence, make me able to speak with a proper vocabulary and grammar. Customized syllabus helped me a lot, which included my problem area of grammar part. It has been wonderful learning experience with my trainer. Thanks to WizMantra online classes for giving us this wonderful Platform. I think if you want to improve your spoken English language, then you must join WizMantra online classes. In my opinion, everyone's need is different and each student has a different level. The key feature of WizMantra online classes are that they provide student centric classes which means "classes at your level". I was not able to speak in GD. Mam understood this and suggested me one topic per day for discussion which helped to gain confidence. The most important thing what I have realized is that individual training will give you that platform where you can ask question without fear of getting bullied.I used to make mistakes and my trainer was there to correct me. She corrected me and explained well so that next time I dont make similar mistakes. I thank my trainer for having patience with me and WizMnatra team for their support. I was an B.A Economics graduate with a little knowledge of Spoken English when I first joined WizMantra online classes for my interview preparation, As I had limited time for my interview. I have joined advance level for my spoken English because I want to develop my self-confidence. WizMantra online classes was pretty good in helping and developing my spoken English through individual trainer. The support from my trainer was remarkable as I was less time to prepare for my interview, Mam gave me the list of questions and played the role of an interviewer:). She recorded all the questions and analyzes them.Which helped me a lot in my interview preparation. Thanks WizMantra online classes for such an awesome support!! I highly recommend WizMantra online classes. I was an B.A Economics graduate with a little knowledge of Spoken English when I first joined WizMAntra online classes for my interview preparation. At that time, I had very limited time for my interview. 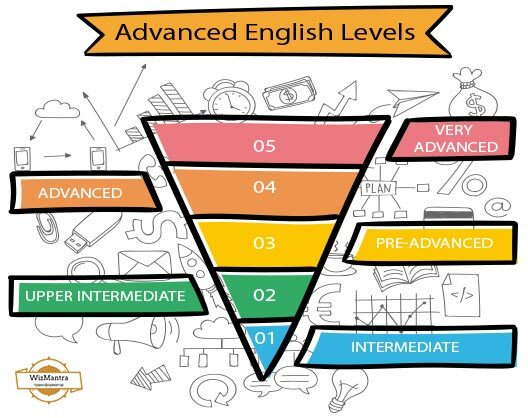 I joined advance level for my spoken English because I wanted to develop my self-confidence. WizMantra online classes were really good in helping and developing my spoken English through individual trainer. The support from my trainer was remarkable. Mam gave me list of questions and played the role of an interviewer :). She recorded all the questions and analyzed them, which helped me. I can't thank WizMantra online classes enough for such an awesome support!! I was clueless what to do about my English fluency. I have tried so many things like reading new paper and grammar books but not worked for my fluency. No doubt I have gained good knowledge of grammar but still fluency was my big problem, Then I have joined WizMantra online classes intermediate level for my spoken English.. I found online classes are extremely useful love the way they teach. 1.The individual trainer is assigned for each student. 2. You will get Conversation partner as your trainer. 4.Covered vocabulary and grammar part fully. 5 Above all you will gain confidence and fluency in no time. I must appreciate unique teaching methods of my trainer. My fluency improved a lot.Thanks WizMantra online classes for giving me a quick boost of confidence!! thanks to Neelema mam my trainer. WizMantra online classes for making me the best version of myself. I always wanted to improve my spoken English fluency. I fumble a lot while speaking English.I have joined intermediate level for my fluency. WizMantra online classes proved to be a high-quality platform.WizMantra online classes trainers are very high qualified and gives the comfort level to the student to improve English level proficiency, Trainer worked on my grammar and vocabulary.Flexible class with the dedicated trainer helped a lot to improve my personality and fluency.The encouraging and active surroundings in the class created by my trainer makes learning an enjoyable experience. Thanks WizMantra for your great help!! I have joined WizMantra online classes 2 months back, I am from Lucknow. First of all thanks WizMantra for providing online classes, I was not at all convinced about online classes. So I took the demo and felt like this is something I should try ,online classes are really good for those, Who are working and dont want to waste their time just like me 🙂 . My trainer Neelema mam is an excellent trainer and down to earth.Her command over the language, teaching method and behavior is incredible.Teaching method is very simple and the best thing is that we all need confidence while English speaking, we can learn grammar or vocabulary, but fluency one can gain only by practicing with someone who can tell your mistakes and make you understand how you will correct it.Live sessions and one to one interactions with the trainer will enhance the confidence level of spoken English.I really felt change in my personality and my spoken english too:) My thinking of learning is also changing, Online classes are the Best! Hi there, Thank you for sharing all recording of my phone & skype sessions. It is actually beneficial for me as I got a chance to listen those audios frequently and practice was even more effective.Flexible fee payment & EMI made the enrollment process to easy for me. I enrolled for 3 months (2 months basic & 1 month Intermediate advance course). Learning is all about spontaneous practice and regular interactions- This is what I learnt from this module. I got 40 hours of regular practice sessions with Intermediate advance course. 100% cost effective modules and flexible fees/payment plan. All support and interactions with the administration was awesome. Thanks to Wizmantra for making my English learning journey simple. In India everyone knows or understand English language but main problem occurs while speaking and I am the one who is also struggling with this same problem joined Wizmantra online classes for my Intermediate level. Basically I am from bhatinda, Punjab and I have searched institutes here also for my spoken English, all my life I was learning from offline mode and I felt that again off line session will not work for me. Then I tried WizManta online classes I like the way they teach one to one session with the trainer, it really works... First off all no fear of bullying if you use wrong grammar or improper pronunciation. Trainer will guide you in your each step ,they will start from your level no bookish language... WizMantra It is all about working on your fluency and developing confidence while speaking. Hi, I am Tej Bhanu Pratap Singh from Rae Bareli, Uttar Pradesh. Today I would like to share my experience with the Wizmantra’s English Speaking Classes Course. The trainer was like my friend and therefore I developed fluency in English at a greater pace. The course was designed as per my need and therefore I was able to alter the timing of my teachings. So I used to study after my business got over. My Spoken English level was very squat when I joined but after taking this course it gradually improved and now I can speak English in an effective manner. Due to the flexibility of course I was able to learn quickly and effectively without any hesitation which not only abetted me with my aptitudes but also boosted up my confidence for English. I would like to suggest anyone reading this to go and definitely try out this course. Hello everyone, Sahil here from Walgaon, Maharashtra. I am a businessman, who was looking for a faultless solution to learn English. I found Wizmantra’s English Speaking Classes on Google. When I saw this course I was so enthralled by their curriculum which tempted me to take Wizmantra’s Advanced English Speaking Classes. These guys, I tell you to make a master out of you no matter from where you belong and what you have with you. A sheer piece of excellence they possess which helps you in a very strong command over the language. So what I feel is you should once try this course without any jiffy thought. You won’t be disappointed I know. Hope you got a clear idea of how this course transformed my life. Hello everyone, Saurabh here from South Delhi. If you have read my review in Wizmantra's English Speaking Classes section then probably you know my story. But if you have not then I am a businessman who was looking for a perfect solution to learn English where I found Wizmantra’s English Speaking Classes. When I took this course I was so impressed by their curriculum which tempted me to take Wizmantra’s Advanced English Speaking Classes. These guys I tell you to make a master out of you no matter from where you belong and what you have with you. A sheer piece of excellence they possess which only helps you in a very strong command over the language of English. So what I feel is you should once try this course without any second thought. You won’t be disappointed I know. Hope you got a clear idea of how this course transformed my life. Hey people, this is Sarthak from Mumbai, Maharashtra. I thought of sharing my experience to tell you people that being in a metro city sometimes it is good to learn English by registering for a course rather than learning by yourself. Being a Mumbaikar, I knew Basic English with proper knowledge of where and how to put words while speaking. But still I never had enough confidence to speak fluently without thinking much about the words. That is when I thought of joining Wizmantra’s Advanced English speaking Classes. The tutors were friendly and I was able to reconstruct my English in a better way possible. When you are capable of learning at a much faster pace these people help you with you speed and fluency. Thus what I feel is you should definitely try this course if you want to be a master in speaking English and amaze your friends. Hi peeps, Nikunj here from Malaysia. I would like to tell you people how my life changed after taking the Wizmantra’s Advanced English Speaking Classes. Recently when shifting to Malaysia for my higher education I got to know that English is necessity here. Most of my colleagues were prompt & immaculate with their language so in order to get along with them I had to take an advanced course which will help me in improving my vocabulary as well as understanding the language. So I decided to take this course & this course changed my life completely. The trainer I got was supportive and exemplary with his teachings which helped me to get over my flaws. I would like to thank this company to improvise my English and help me cope up with the current scenario in the industry related to English. You can easily learn English with them. Hey there, if you are reading this review just as I did before taking this class then you are on the right track. Being a fresher in the company if you get to travel onsite even after less experience than you are probably more excited and nervous. It was the same when I came to know about my selection for an onsite opportunity which I got during my second year with the company. Thus, after hearing this news I was a bit of scared and anxious because the country which I was going to move in for the next year or so was the United Kingdom and the city being London. So it made me nervous after they told me that I had to improve my English because my expertise were just one aspect of my work. In order to handle onsite client, I was required to be excellent with my English and Corporate Communication skills. This is where I got to know about WizMantra’s Advance English Speaking Classes/ Corporate Skills. They not only helped me in honing my skills to be perfect but also made me fluent speaker and a smooth talker. One should definitely go for this course. Hi I am Jagdish, I work with a reputed company in Delhi. 2 years back I got this opportunity from company to work in company’s foreign branch for a year. Although, the opportunity was attractive but I was a little bit hesitant since I was not very good with corporate English. It is at this time one of my colleagues told me about Wizmantra’s Advance English Communication Classes / Corporate Skills. I joined the course without wasting any time and within a month I witnessed tremendous boost in my corporate English skills. The program is quite excellent and is designed as per industry needs; even they customized it to my liking. The trainer not only helped me brush up my corporate English speaking, rather he helped me improve my corporate vocabulary as well. Roughly, it took me 2 months time to become fluent in corporate English. I travelled to USA with confidence and made best of presentations there and earned praises as well from many of my colleagues. I had been working with electronic firm for quite a while and I must say that my job was going quite smooth until I got promotion. I was made the product manager and I was now required to attend corporate meeting to entertain clients and bring more business to the country. Since, I was not fluent in English; I started finding it tough to communicate in smooth English with foreign clients. Having worked so hard to reach at this position, I could not afford to let go the position of product manager just because I was not good in corporate English. Soon, I Joined Advance English Communication Classes / Corporate Skills provided by Wizmantra to enhance my English speaking skills. The decision to join the class with Wizmantra proved to be life changing as the language experts there provided me with quite excellent training on corporate English. The trainer trained me on developing my reach in the language and learning fine nuances of the language. Thanks to WizMantra, I have been visiting various clients of late and have been getting best business due to my communication. I would like to recommend WizMantra’s online classes for those students, who have poor communication skills and who are not able to succeed in their career because of this. I would like to share my experience that had with WIzMantra. I was able to get campus placement in Delhi, but after joining I started feeling low because of my hesitation and communication. It ruined my self esteem and I decided to join best personality and communication development course in Delhi. I started searching on Google and found WizMantra Academy. I enrolled and took 3 months of continuous online classes. And I was able to overcome on my fears. I don't have words to thank Mss Kirti and WizMantra for their unmatched support. I am Geeta and I run a playschool in Delhi Dwarka; you can imagine how important it is to communicate with parents with confidence and absolute fluency. I was good in English but had hesitation while expressing myself. I took admission for 2 month's WizMantra Advance English module and with the module I was able to maintain my daily speaking practice. And with God grace I was able to work on my vocabulary and hesitation. The credit for all my improvement and success goes to WizMantra. And I don't have words to thank my mentor, my coach. 5 years back, when I started my business in a two-room office in Noida, I had no idea that effective communication skills can take my business to such level. Now, after 5 years of its establishment, I have shifted my business in my own 5 floor building. WizMantra has played a significant role to improve me as a successful businessman. Our company also deals with several foreign clients and I am fully capable to interact with them through emails, Skype, and phone. Moreover, the English learning program exclusively designed for corporate professionals is quite effective for those who need to develop corporate communication skills. I have seen the days, when I missed a number of overseas projects, just because my little English knowledge. Besides being much capable and efficient among contenders, my business was far below than competitors. But, I didn’t lose my hopes and decided to start from zero. I Joined WizMantra’s online English learning classes and within 3 or 4 months I started confidently using English words and phrases in my conversations. I started talking in English with my spouse till late nights, listened online audios, while traveling or in Metro. The WizMantra and instructions of associated teachers shown results and now, at the present day, I have the most overseas projects just because of “Advanced English Skills” program of WizMantra. This program made me expert in corporate communication. For me English speaking was my passion. I was fond of Hollywood movies and I was completely able to understand the dialogs of the movie. But when it came to speak even a sentence in English, I used to become frozen at that time. This demerit of mine left me ashamed numerous times. One day my childhood friend called me after so long and I was amazed by his English and pronunciation. I mean it was just terrific. I asked the reason behind this magical change to him and he told me about WizMantra’s Online English speaking classes. And believe me, I also got the same results as my friend. I don’t think, anyone can find an easier way to develop English speaking ability than WizMantra.